Chris DuVal is an Associate Professor and the Head of the Actor Training Program at the University of Utah in Salt Lake City. 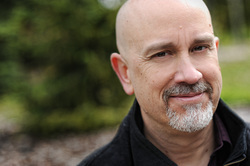 He has additionally worked as an Assistant Professor, guest teacher, actor, and fight director at universities, training programs and regional theatre's throughout the country. He serves as the Resident Fight Director at Pioneer Theatre Company. Chris has worked at the Oregon Shakespeare Festival for 18 years, teaching stage combat skills test classes, acting and fight directing for such productions as Twelfth Night, Great Expectations, River Bride, Count of Monte Cristo, The Heart of Robin Hood, Troilus and Cressida, The Three Sisters, The Cherry Orchard, The Trip to Bountiful, Dead Man’s Cell Phone, Comedy of Errors, Twelfth Night, Henry V, Love’s Labor’s Lost, The Tempest, Othello, Henry VI Parts I, II, and III, ​and many others. He has also worked as an actor, director, or fight director at such regional theatres as the Dallas Theatre Center, Sacramento Theatre Company, Colorado Shakespeare Festival, Grand Theatre, Salt Lake Acting Company, Laguna Playhouse, Shakespeare Orange County, Utah Shakespeare Festival, Syracuse Stage, Idaho Repertory Theatre, Pioneer Theatre Company, Montana Shakespeare in the Parks, Utah Opera, and at South Coast Repertory, which included appearing in the US Premiere of She Stoops to Folly and the World Premiere of Wit. He is recognized as a Master Teacher / Senior Fight Director with Dueling Arts International, a Certified Teacher / Fight Director / Theatrical Firearms Safety Instructor with the Society of American Fight Directors, an Associate Teacher of Fitzmaurice Voicework, and holds a 2nd degree black belt in Aikido. He is the author of “Stage Combat Arts: an Integrated Approach to Acting, Voice and Text Work + Video", published by Bloomsbury Methuen in 2016. He received a B.A. in Theatre Arts from California State University, Fullerton and an M.F.A. in Acting from the University of California, Irvine, where he studied acting with Dr. Robert Cohen, Voice / Speech with Dudley Knight, and Stage Combat with Chris Villa.